Isle Box is a subscription service for outdoor enthusiasts and nature lovers that provide the latest gear and apparel designed to enhance your favorite outdoor activities. The advantage that this little tube of wound dressing gel has over, say, Neosporin, is that it’s designed to protect the wound so you can continue your activity. With hiking and backpacking, that’s key! Gotta get back to the car, at least! This gear-tying-down-gear is so important, I know, but it just makes my eyes glaze over. My husband goes nuts for all this stuff, though! This breakfast for two is only 4.73 ounces, so it’s perfect for backpacking! It’s basically freeze dried hash browns and scrambled eggs with sausage, peppers and onions. It sounds really hearty! The Verdict: My family is really enjoying our subscription to Isle Box! We have been spending as much time as possible in the great outdoors lately, and having new toys to test out has been really fun, plus we’ve found some really helpful products. This month’s box has a value of $53, which feels a little low for Isle Box, but is still very good for the $45 cost of the box. We had some issues with the vendor for the stove featured above. The Power Nano Stove retails for $40 and we purchased it from Kovea at whole sale for $19.22. I’m not sure how Sierra Trading Post is making it happen at $19.99, that’s news to us! 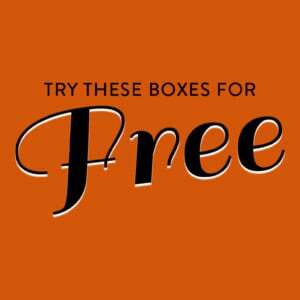 This all being said, we try to get our subscribers at least a 20% or more savings on each box. You can look at our previous reviews on this site to confirm this to be true. If you message our site directly, we’ll throw in an additional item to prove we’re a solid subscription choice and also get you a discount for your second box. Also, I love that they were giving 10% off your next box by posting photos. This is a great way for them to market their brand and a simple thing subscribers can do to save money. It’s hard to come by discounts for people who are already members and I love any company who shows they appreciate their existing subscribers. Have you ever received one of their big seasonal boxes to review? I was thinking about getting one for my outdoor enthusiast brother-in-law and wanted to hear how the value is on that one? Thanks for the November review!! Always so super helpful! I’d like to see a review of the bigger box too. Just to see if the value is there. I love the idea of this box and would join in a heart beat if it included items that was at least double the cost of the box. I think that is fair when you look at other subscription boxes, mind you the RV is usually marked up but still it’s higher haha. I really really want to join this box for my husband but I could buy the items individually myself for the same price. I think a subscription box needs to offer enough so that if I didn’t like 1-2 items in the box I still got my money’s worth. I they continue to send you boxes to review so I can see if they start doing better! We’re also going to be reviewing the Winter Seasonal Pass this week.